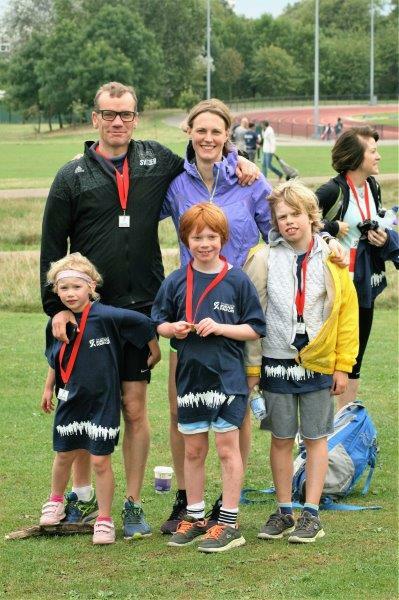 Jubilee Hall Trust’s second annual fun run series took place on Saturday 17th September on Hampstead Heath. This year, the ‘Run For Your Life’ series included 2k, 5k and 10k options so that everyone could join in. And they did! Participants ranged in age from just 5 years old to 74, and this year, more women than men took part. 225 runners signed up for the races, which were started by local celebrity and former Team GB middle distance runner, David Bedford. The weather stayed dry and the temperature was almost perfect for running on the hilly trail course. More than 51% of participants were local Camden residents and, whilst only 35% met the current Chief Medical Officer’s guidelines of completing at least 150 minutes of physical activity per week, more than 97% said that they would continue running after the event. We are extremely grateful to Hampstead Heath and all of our volunteers and staff, and of course David Bedford, who made the event possible. The results and event photos are being posted online, and we hope to see everybody back next year!